The regatta season reached its conclusion in the Northern region at Talkin Tarn Regatta on July 1st. 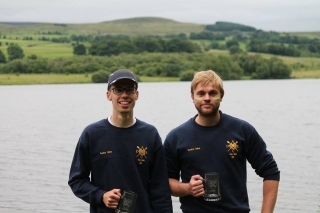 A bright and breezy day proved to be a very successful one for the Club, winning the Tarn Regatta’s inaugural Victor Ludorum award for the most successful club, for which they received a splendid new trophy sponsored by Darlington Prontaprint, along with a cash prize of £250. Out of 44 entries spread over 3 divisions there were wins in 15 events on the buoyed 3-lane course, shortened slightly from the advertised 700 metres because of excessive weed infestation which is a perennial problem on the tarn. Seven wins for the Juniors included Thomas Taylor in the J14 single scull, Matthew Harrison and Dominic Crilley in the J14 double, Katie Strangward, Allanah Baldwin, Bethan Hall, Izzy Wilkinson and cox Abbie Burke in the J16 4+, Sam Taylor and Aidan Crilley in the J18 2x, and wins in the Women’s coxed quads for 2 crews – Honor Cessford, Jess Cooper, Catherine Musgrave and Gabby Suggett, coxed by Lily Sanderson, and Alannah Baldwin, Katie Strangward, Georgia Murphy and Abby Burke, coxed by Elise Sanderson. With 3 women’s eights and 2 open eights competing there was a win for the DARC/St Leonard’s combination including Harry Coe, Aidan Crilley, Matthew Skinner, Sam Taylor, Josh Stephenson and Matthew Edge, coxed by Rebecca Jackson in the Open 8+, and for the Senior Women’s crew of Claire Adams, Kate Sowden, Ruth Hodges, Fi Ashton, Liz Law, Taya Parker, Alison Danforth and Beth Holmes, with cox from St Leonards in the Women’s 8+. Another win for the Seniors came for Brad Knights and Elliot Kay in the Open pair. The new BR ranking system saw the Women’s double divided into 3 bands, with band 2 won by Liz Law and Taya Parker. 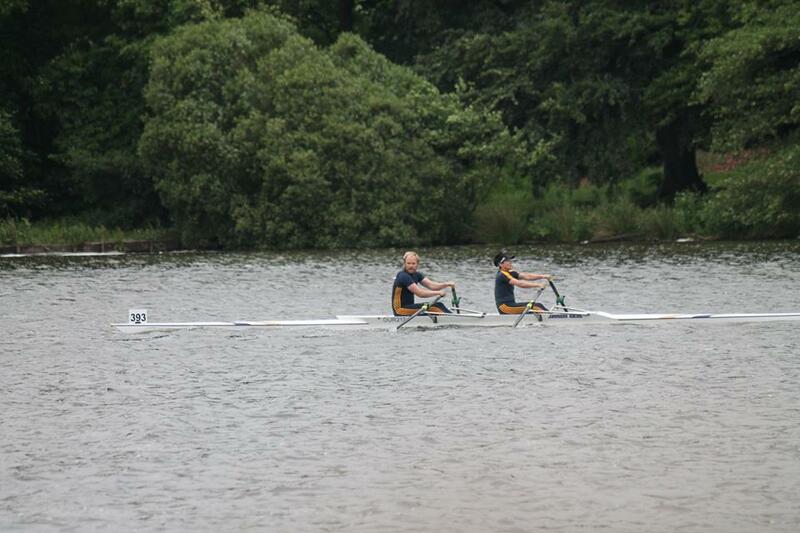 Andy Jaggard won the Masters G single sculls, then combined with Joyce Collett to win the Mixed Masters G double. 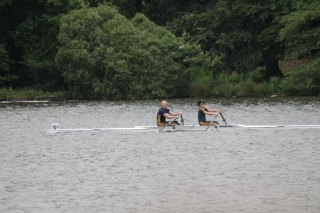 Kim Forster and David Muse won the Mixed Masters B double, and there were wins for George Adair, David Oliver, Michael Seed and Gerry Sharpe in the Masters F four coxed by Helen Adair, and in the Masters F coxless quad. The calendar of events in the Northern region can be found on the Northern Rowing website. This entry was posted in Racing News on July 10, 2017 by Colin Lawson.